Can Maha Mrityunjaya Mantra Be Chanted For Someone Else? – And How To Chant For Another Person? Maha Mrityunjaya Mantra is chanted for early cure of life threatening disease, to overcome fear of death and for long life. 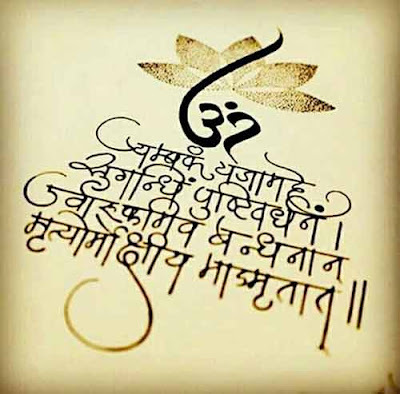 There is a doubt among Hindus as to Maha Mrityunjaya Mantra can be chanted for someone else. Yes it can be chanted for another person. Husband can chant it for wife and vice versa. Parents can chant it for sons and daughters. Children can chant it for parents. Brothers can chant it for sisters and vice versa. Friends too can chant it for another friend. There is no restriction. It can be chanted on any day and by any person. How To Chant Maha Mrityunjaya Mantra For Another Person? Sit facing east or northeast direction. Chant the prayer when the sunrises. Now bring the image of the person for whom you are chanting the mantra in mind. O Supreme Truth, there is no place in universe that you are not present. Forgive all evil deeds I have committed. Please accept this prayer. I am chanting this prayer for (you can say your relationship with the person and then name). For example, my father, Shekar. Next chant the Maha Mrityunjaya Mantra 108 times. Keep count on a Rudraksha Mala. Do not think about results while chanting the mantra. After completing the mantra, ask the Supreme Truth to accept the prayer and consider it as chanted by me for my ..... relationship and name. If the person had asked you to chant it on his or her behalf then inform the person that you had chanted the mantra. If you are doing it without the person’s knowledge then keep it a secret.